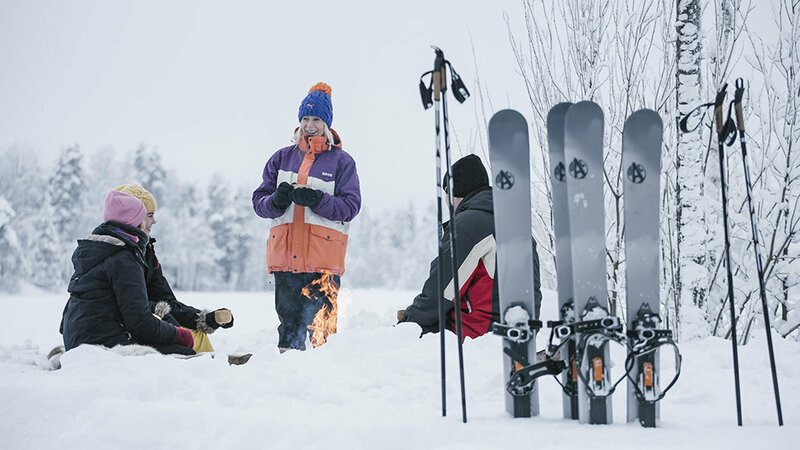 Near your holiday home at the Soukkio lake you have easy access to go cross-country skiing. 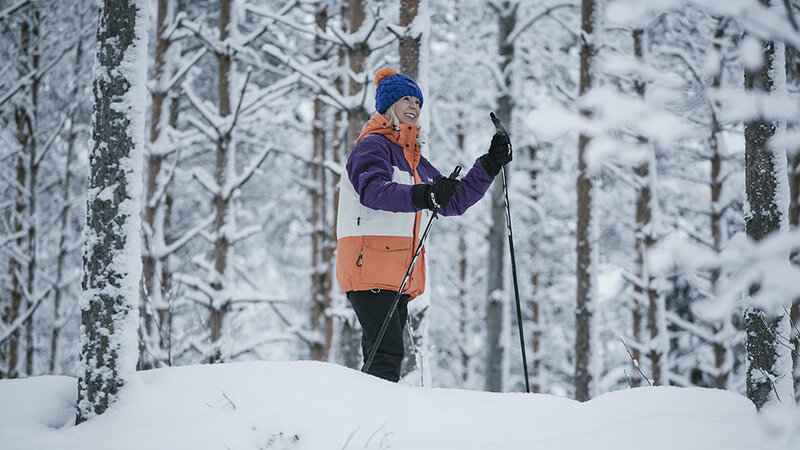 You can try cross-country skiing without a trail for more advanced skiers or go for a ride on the prepared trail nearby. 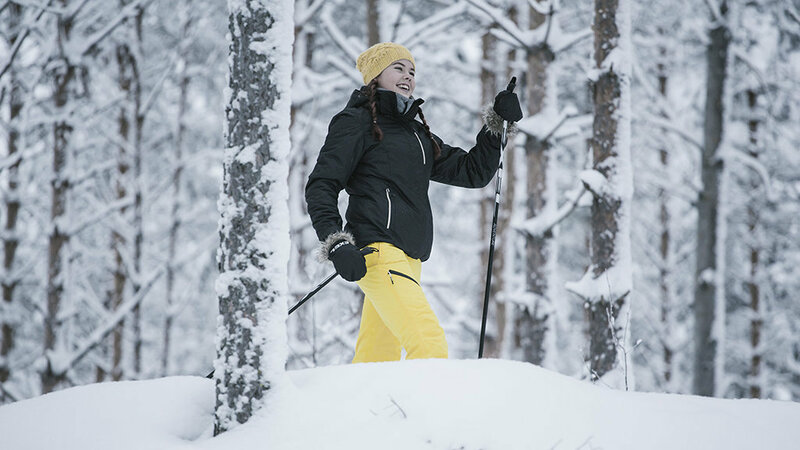 Skiing in the woods is particularly nice, as the snow-covered and quiet woods emit something magical. Normally the snow cover becomes harder in March and makes running and jogging on the track possible. This time is also excellent for our OAC skis. 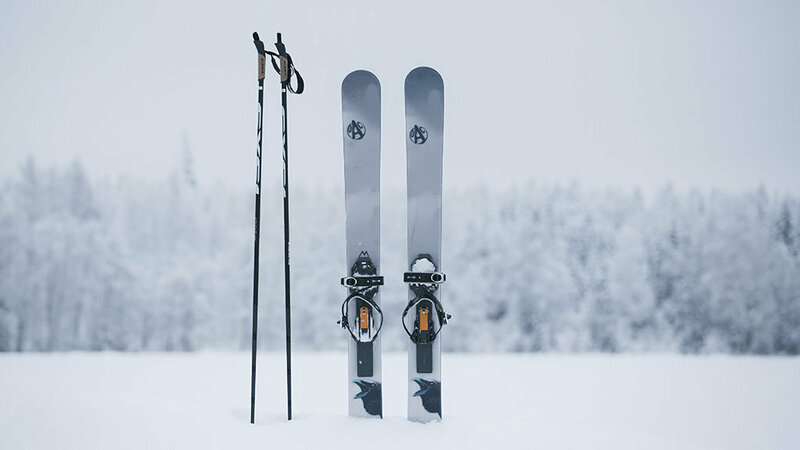 OAC skis are a perfect choice for backcountry skiing and, compared to normal cross-country skis, fit everyone, regardless of the size. The OAC ski bindings can be used with different winter boots of any kind and size. Remember to pack your camera! While exploring nature, you may see an owl, moose or otter up close from time to time. 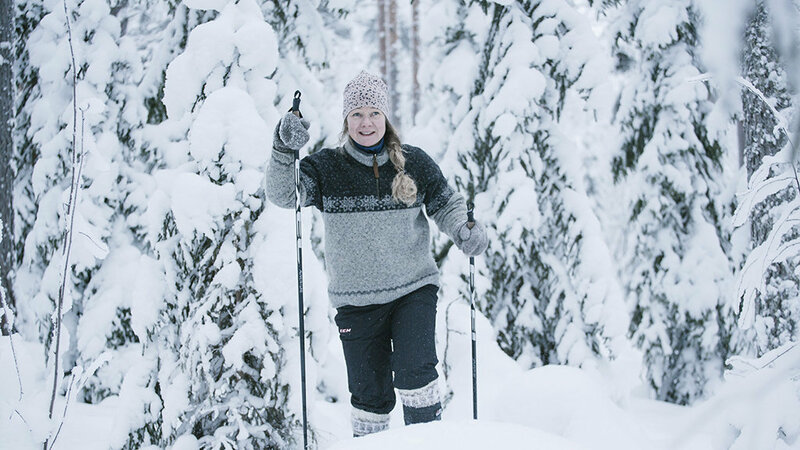 In Finland, cross-country skiing is often seen as a means of transport to switch between different ice fishing spots and test the conditions at different places. This gives more time to test several ice-fishing spots during the holiday. A drill to make a hole in the ice is included in the rental price of the holiday homes. Jigs can be rented upon arrival. You can pick up your OAC skis the day you receive the keys to your holiday home. If you would like to rent the skis another day, we will be happy to bring them to your cottage. Please book the skis in advance. 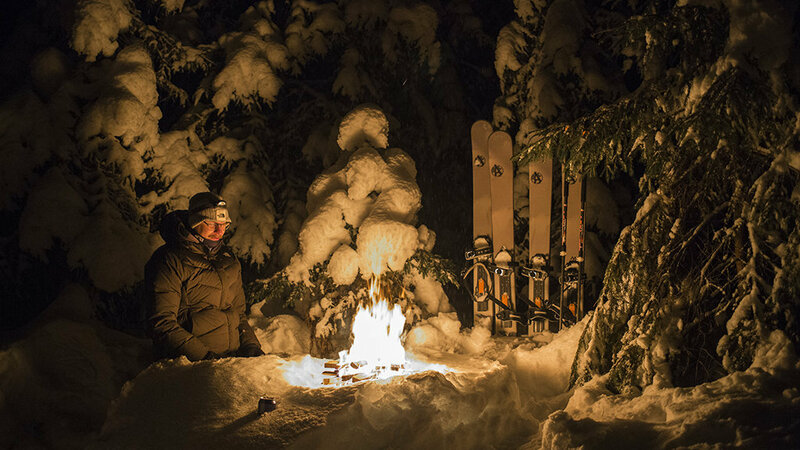 OAC skis operating days and the time can be changed separately by prior arrangement and subject to availability during holidays. Request of a customized offer or longer bookings to Rock and Lake sales. Please call +358 50 566 0905 or send an email to sales@rockandlake.com.